To promote his first book Decoded, Jay-Z partners up with Gucci. Pages of the book have been placed in various places such as the bottom of the pool of the Delano hotel in Miami and underneath plates at the Spotted Pig restaurant in New York in efforts to advertise the release which hit bookshelves on November 16. Gucci revealed two of the pages in the windows of its Fifth Avenue flagship store in New York. 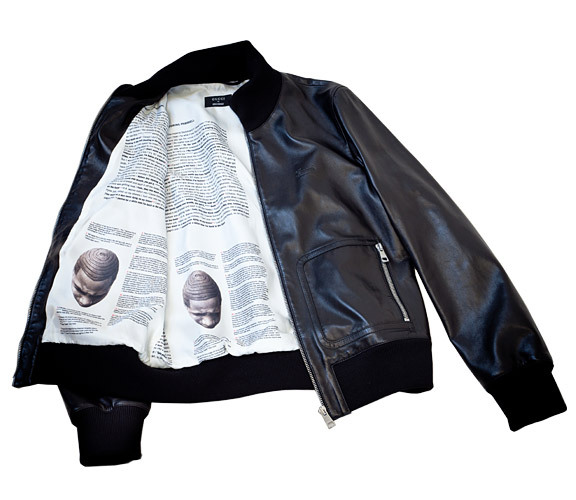 Printed on the lining of a one-of-kind leather bomber jacket designed by creative director Frida Giannini is the breakdown to the lyrics of Blue Magic.